It’s always worthwhile, wouldn’t you agree? Practice makes perfect — we’ve heard it and said it all our lives. Because it’s true! If you want to be expert at something, if you want your skill to show, if you want to be (reasonably!) proud of your work, then it’s worthwhile to pursue excellence. 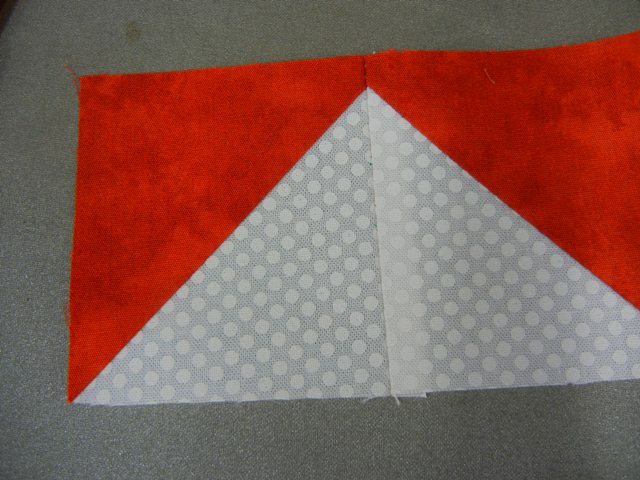 My good friend, Trudy, says that working with small blocks is a good way to perfect piecing skills. To that end — here’s a chevron “mug rug” made from 1 3/4″ half square triangles — which were the “excess” trimmed from “real” quilt blocks! I plan to quilt it and bind it next week. Moving forward — it’s always a good place to be. Learning something. Improving a skill. Understanding the ‘why’ in a problem or a process or an idea. I’m working hard on the skill of ‘precision’ in my quilting these days. A friendly competition with myself. Very satisfying to see the results improve day by day. You either like them, or you don’t. The old quilts, I mean. The vintage blocks or tops or quilts, made from scraps left over from sewing, or from garments whose usefulness has passed. Made with skill or with the promise of skill in the future. Or even with the reluctant hand of one who does not wish to learn. I like them. I see thrift comingled with creativity; necessity softened by beauty. I often think of Eleanor Roosevelt’s quote: do the best you can with what you have where you are. That’s like the definition of a vintage quilt. My newest student asked me that this morning. Not yet. Not yet. But, I think about my own grandmothers every day. One taught me to sew; the other gave me quilts that started my love affair with the art form, oh so many years ago. So they are with me, every day, in the studio — in every thing I do. 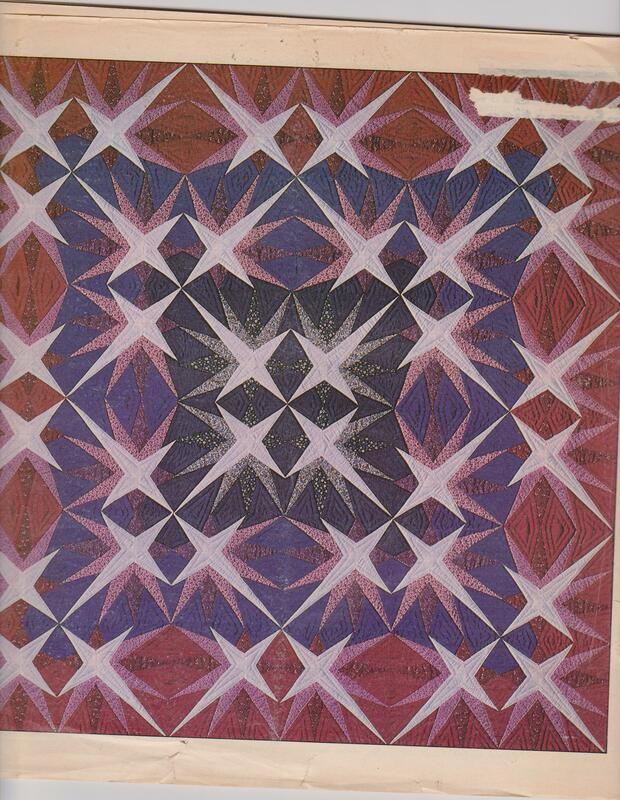 For instance, this piece of fabric, part of a quilt that was pieced by my husband’s great grandmother, reminded me of a piece of fabric I found in my grandmother’s stash one year. She let me choose fabric from her stash whenever I came to visit — and we would walk to Sprouse Reitz and buy a pattern and some notions, and head back home to sew. I found a beautiful sky-blue fabric with a loose weave and black floral flocking. Oh, it was stunning. I made a “maxi” dress, with a square neckline, puffed sleeves, and a three-tiered, gathered skirt that reached to the floor. I was so proud to wear it to church! This is such an exciting moment! The pattern for Celtic Nights, my first major quilt design, is ready to go! It comes in two colorways — original and Debora’s — named for my good friend Debora Proctor who suggested the colors. The pattern sells for $12 — you can get yours by sending me an e-mail at seldomseenquilting@gmail.com, by calling me at 972-921-6715, by stopping by the Studio inside My Father’s House Antiques Mall, or by visiting Seldom Seen Quilting on Etsy. 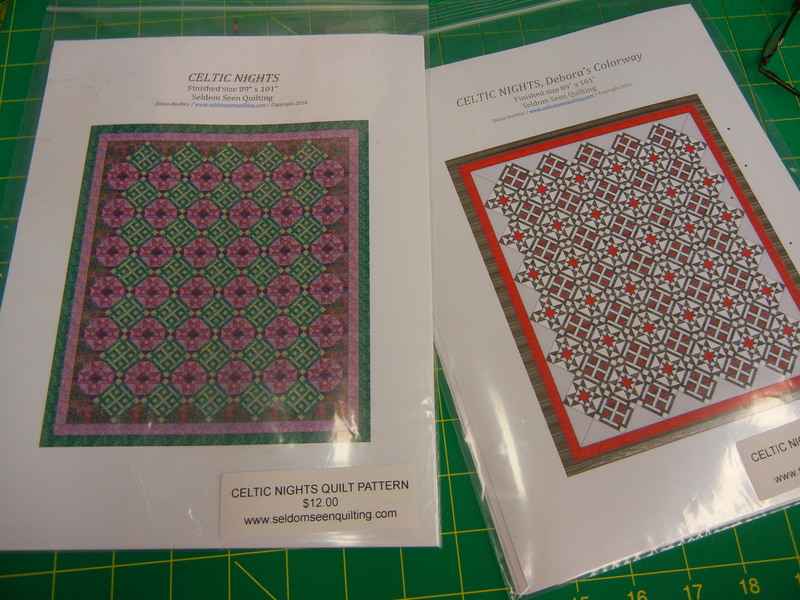 I can’t wait to see your Celtic Nights quilt when it is done! When I started out full time at Seldom Seen Quilting Studio, I had no idea of the depth of the blessings that God had planned for me there — none! 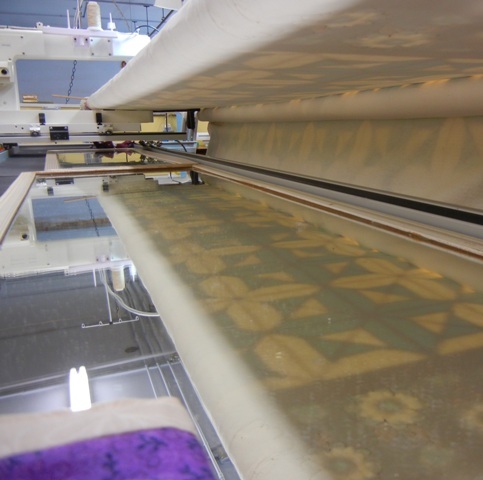 I thought I would simply rent machines to other quilters and putter with my own projects. I agreed to do quilting for family members. 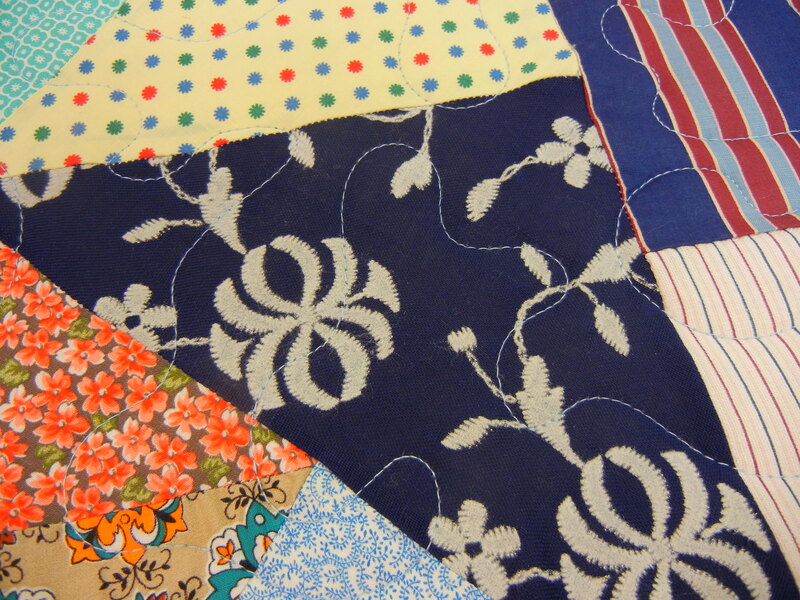 From that I gained confidence, and began to take in quilting for others. 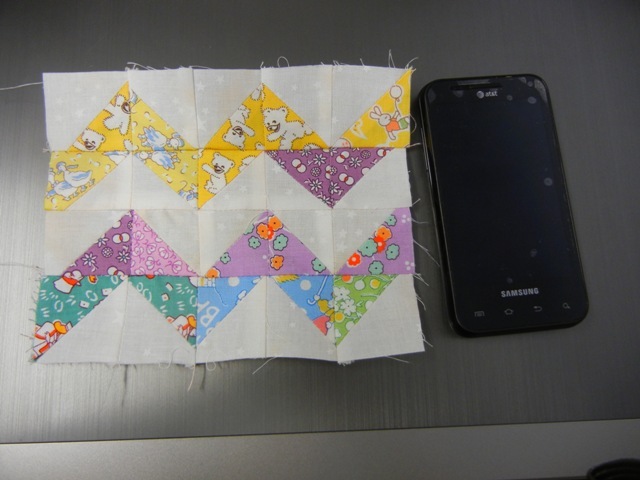 Then I agreed to make a custom quilt — Sunbonnet Sue, for a family member. One thing lead to another — one confidence grew to embrace another skill and another skill. 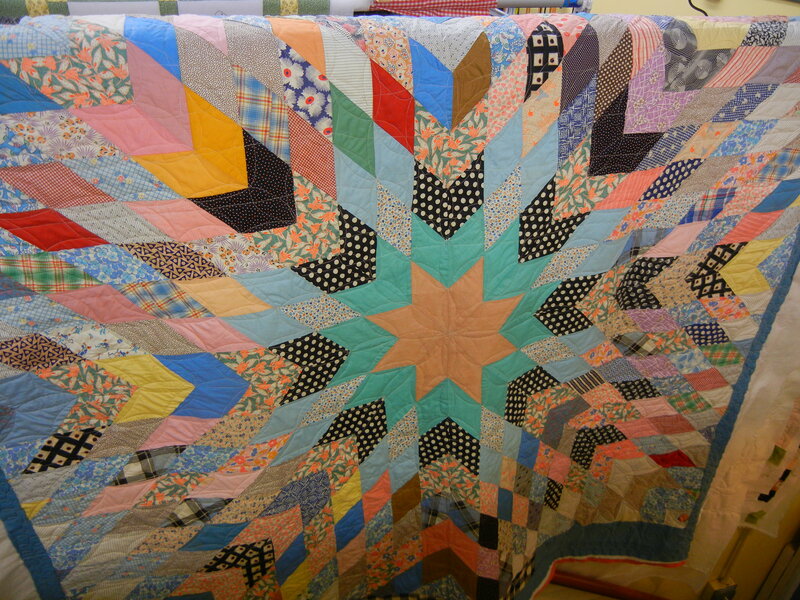 Today, I find the custom quiltmaking is one of my greatest joys. Like this memory quilt I’ve been working on this week — the second one I’ve made for this family, from their grandfather’s pajamas. I pray as I sew, and I pray that they will be blessed by the quilt — but I have received the first blessings. This incredible job. Not even the ten years when my amazing husband and I worked together in our dry cleaning business. Those years are what whetted my appetite for the entrepreneurial life. 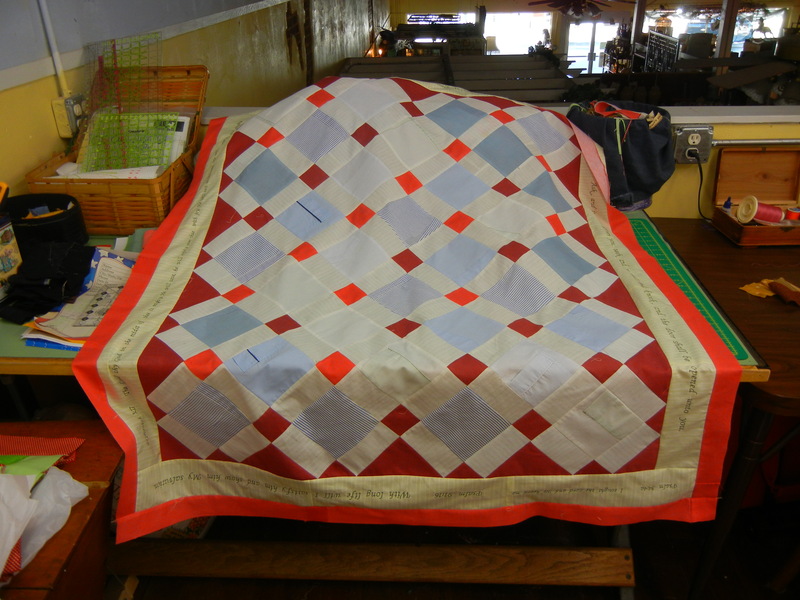 But they were not as amazing as this job — owning and operating Seldom Seen Quilting Studio. This is a job that makes me think, “Yay! I get to go to work today!” This is a job where I meet wonderful people every single day. Where I get to see works of art, touch them even. Where I encourage and receive encouragement. Where I pray and am prayed for. A job where the customers all become friends. Where giving is the norm, charity is a way of life, smiles are abundant, learning and creativity are blossoming all day long. A job where I teach — which I never even knew I wanted to do — and then watch in delight as my students outshine me. (For instance — the creator of the quilt in this picture.) This is a job that sends me home high on life over and over again. My darling husband has always loved boats of all kinds, but especially sailboats, and recently he has become interested in an event called the Texas 200. The event, which runs 200 miles along the coast of our great state, is sailed primarily in home-made boats. Participants are discussing making boats to resemble the Texas scow — a workhorse of a sailing vessel that served well in the shallow and unpredictable waters in question. 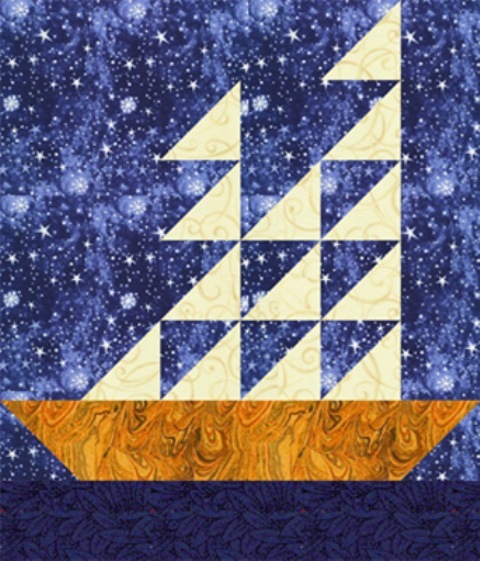 What I would like to make, of course, is a quilt that resembles the Texas scow — and I think the schooner version was cuter than the sloop version. I found this block, called “Tall Ship”, and I think it might do nicely.